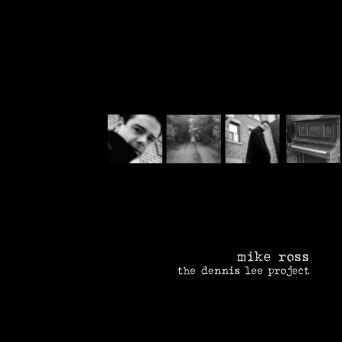 I'll admit it...I really didn't "get" the Dennis Lee Project at first. While touring around with the Jive Kings, Mike would talk about his new project...Kid's poems put to music. and I was like "Kids poems?!?! put to Music?!?! Has he gone MAD?!?!" but....I just hadn't given it a chance, and at one Jive Kings gig Mike played "If Lonesome Was A Pot Of Gold" during the soundcheck and I was instantly changed...I "got" it...and I wanted nothing more then to be a part of it. And Luckily...I am....and to date, recording the Dennis Lee Project and performing these wonderful pieces of music have been some of the most wonderul musical experiences in my life. Specifically the CD Launch on March 28th, 2002...5 minutes before we went on stage Mike and the rest of us weren't really sure if anyone was going to "get" it...Imagine...two years of dedicated work put into this project and not sure if it was going to be truly appreciated. It was a wonderful night and the Dennis Lee Project was received with what felt like open arms.